Add this enclosure wall to your gazebo for more privacy and enjoy superior protection from sun and wind. 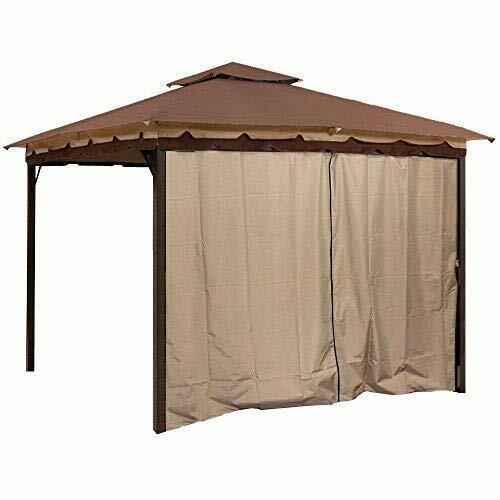 It attaches easily and fits many gazebo models, so you can be made in the shade no matter which shelter you're using. The wall sets up in minutes, but it's still durable and weather resistant for long lasting style and function. Creates a private space for hosting more intimate outdoor gatherings, or just for enjoying your yard in solitude. Gazebo frame and top canopy not included.